The Smokies were an absolute slog. It rained for most of my 4 days booking it across the peaks. Morale for the most part in Smokies were low. Many people got off in Gatlinburg and did not get back on. It was difficult to focus on much other than the sorrowful weather and all these spectacular views that had been built up to us and we were completely missing. 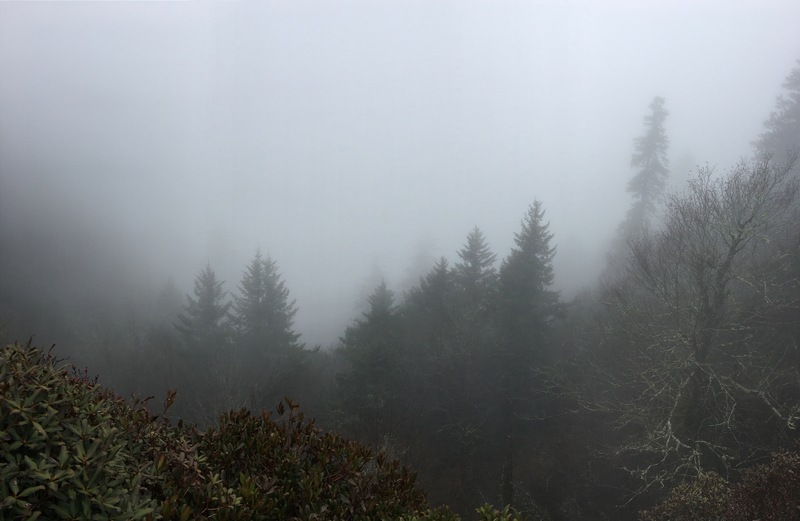 For the most part Visibility while I was in the Smokies ranged from 5ft-100ft. 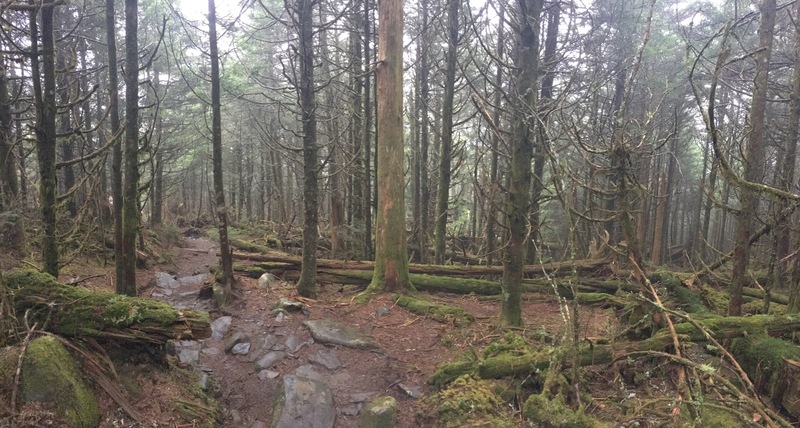 I was hammering out miles in the Smokies and almost created a zen like hike for myself. I was alone, it was cold and rainy, and there were no majestic views. So, I focused on the deep earthy smell the rain brings out. The combination of dirt and evergreens that is so special and unique to a wet forest. I delighted the greens of he moss popping out of the grey of the fog. My heart filled everytime I came around a corner to see a mountain side covered in tiny flowers. I felt relief when I saw a rainbow. And would take a beat every so often to smell the blossoms. 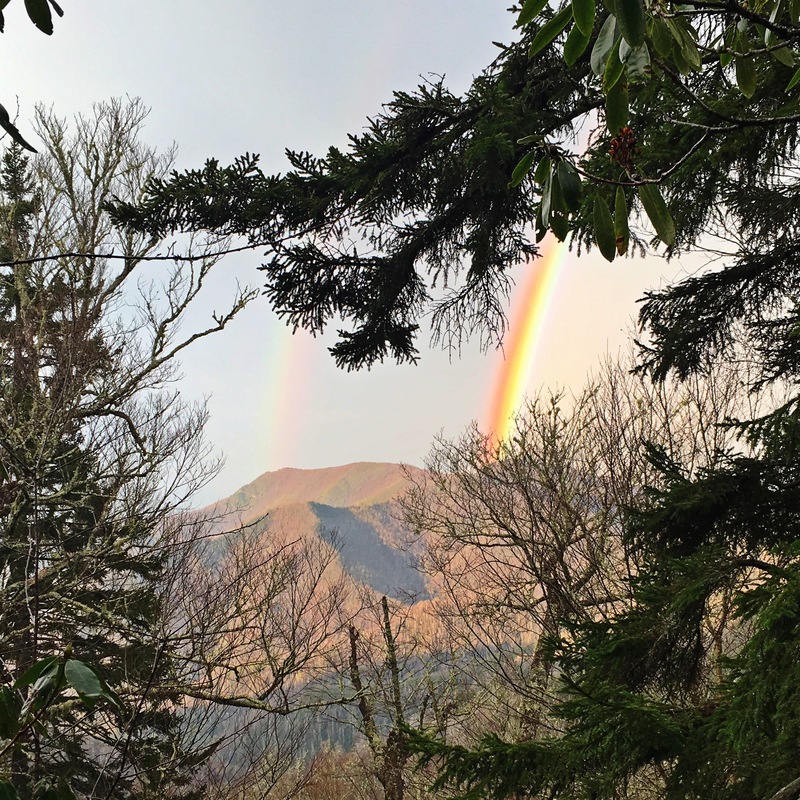 The Smokies were brutal, but they were also beautiful. Sometimes, we can have a grand idea of how things are going to go. We feel we deserve a reward for the hard work we are doing. Yet it does not come and if we don’t pause and take in what we do have we will miss the beauty around us.